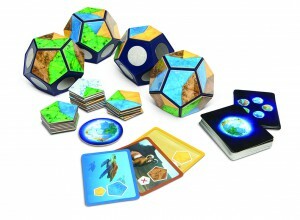 Our new game, Planet, is a unique board game featuring 3-dimensional playing boards representing the earth, in which you compete to create the most populated planet. Release date will coincide with Earth Day on April 22, 2019. A year and a half ago we launched Photosynthesis at Gen Con, a visual striking strategic board game in which players plant trees, collect sunlight to grow them and harvest the tallest trees to earn points based on the richness of the soil they grew on. The success of Photosynthesis was unprecedented and one of the reasons why we wanted to expand this line of earthy board games celebrating the beautiful planet we leave on. Just like Photosynthesis, Planet makes a visual statement with an eye-catching graphic on the box which carries over to the uniqueness of its components; making for an impressive accessory on the playing table. 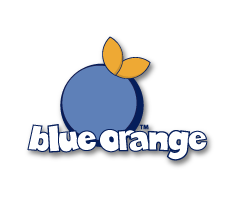 Urtis Sulinkas, the game creator is known for his clever mechanics, and surely has stood up to his reputation with this game. Planet is also exceptionally illustrated by Sabrina Miramon. Photosynthesis was bestowed numerous awards over the last year including the coveted Mensa Select. 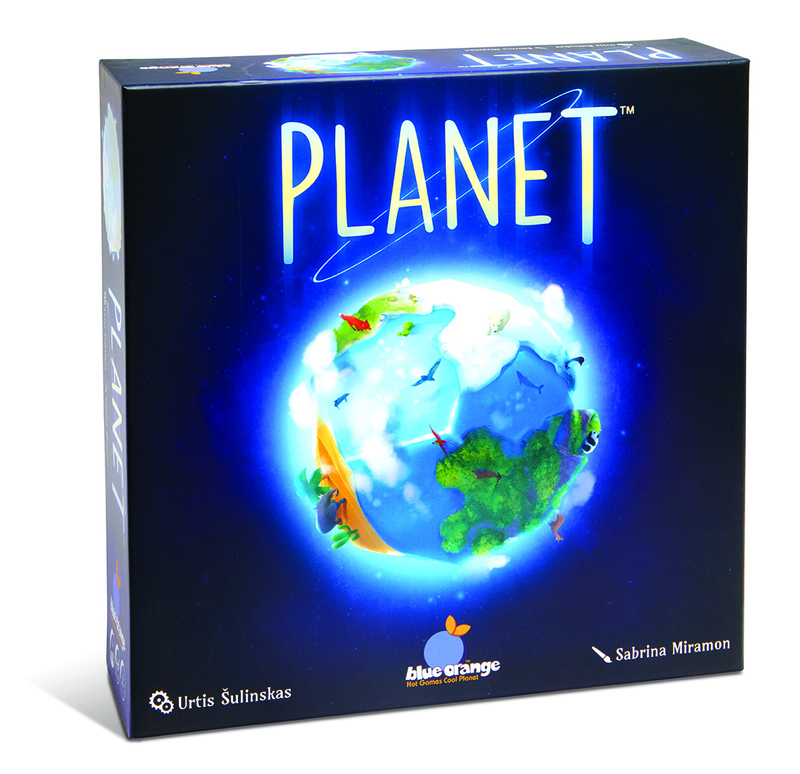 Following in its steps, Planet has already been selected for the Mensa competition taking place in mid-April and we will be entering Planet into the ring for various other awards including the Spiel des Jahres. We couldn’t think of a better day to launch our new game than Earth Day 2019 – April 22nd. In Planet, players take on the role of super beings and compete to create perfect worlds with the ideal conditions for wildlife to flourish. Each player’s board is a unique 12-sided 3-dimensional planet core. 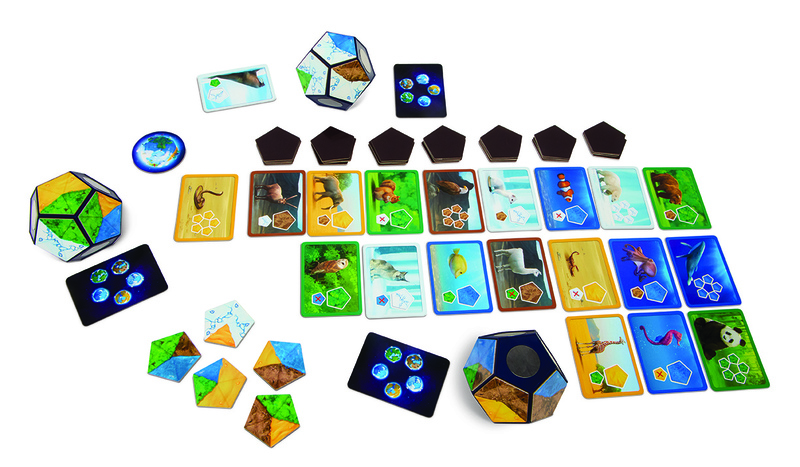 Throughout 12 turns, players select landscape tiles representing oceans, deserts, mountains or frozen lands, and arrange them on their magnetic planet core to create the best ecosystems. They win Animal Cards at the end of each turn based on who matches the Animal Card requirements better, and they try to fulfill their own ‘’Natural Habitat’’ objective all throughout the game to win additional points at the end. 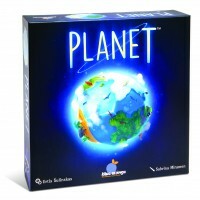 Planet is a 30 minute game for ages 8 & Up. Pre-orders are available through our website or at your local game store.